This empire blue 20 gauge steel caskets is a standard sized casket and fits in a standard sized burial vault. Please confirm dimension requirements with your funeral director. 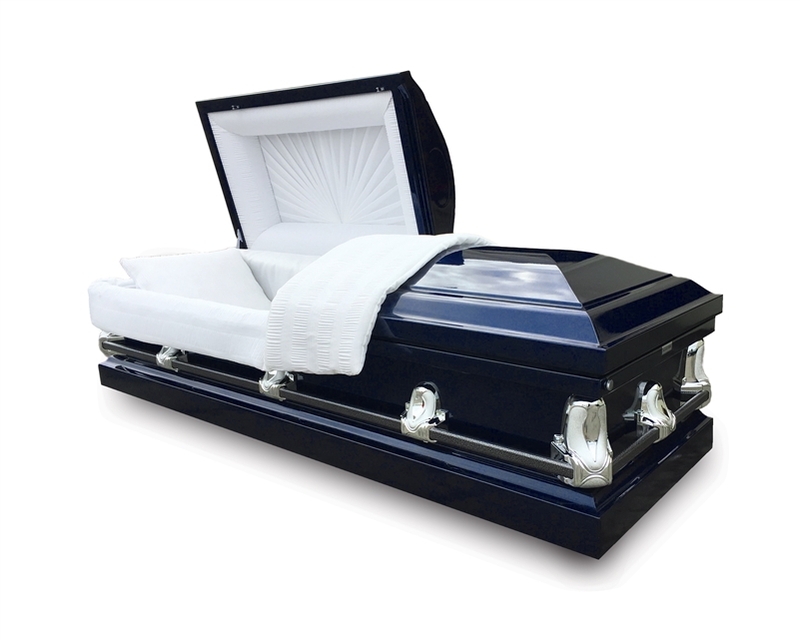 If you need a larger sized casket, visit our oversized casket selection. We are not responsible for determining the dimension requirements for your loved one.